Upper: Other, Lining: Leather/Textile, Sole: Resin. 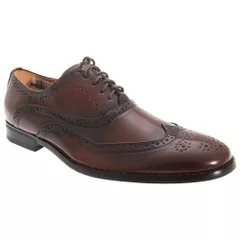 Classic formal 5 eye Oxford brogue shoe. Leather quarter lining and 1/2 sock.